Sean Hargreaves from the U.K. shared an interesting article with us this month. He was clever enough to make me realize that our submission form for articles is actually small, because it allows entering up to 3000 characters only. If you wish to publish a longer article, you can also send the content to me directly in a simple word or pdf file, using this e-mail address for the purpose. Please, specify if your work has been already uploaded in the web or not. I will host your file and/or create a page at our section for articles from which visitors will have access to it. Dancing in an Epidemic: The interplay of dance and AIDS in 1980’s America. And by the way… thanks Sean for making me notice this issue ;-) ! Some months ago, I published an interview with Jessica Walker, a choreographer that makes great emphasis in the fact of not worrying about pleasing the audience. This month, I came across a virtuous young choreographer, whose main worry is to achieve the satisfaction of the spectators, in order to gain a wider audience for contemporary dance. I find both positions convincing and it seemed interesting to me to write about the insight of Mauricio Flórez, because this could help revealing the diversity of approaches that make up the working field of contemporary dance. 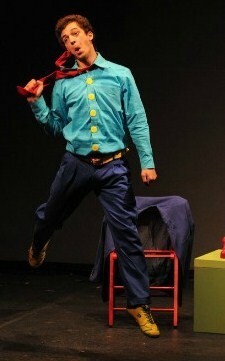 COMEDY APPLIED TO CONTEMPORARY DANCE is the name of Mauricio Flórez’s graduating project. 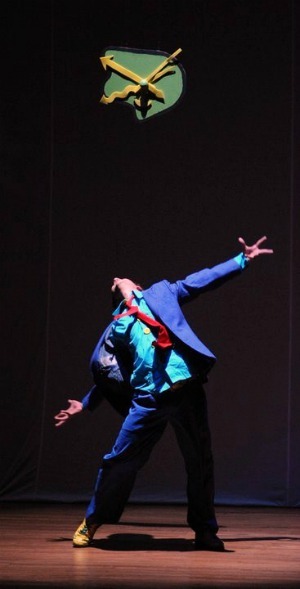 For this purpose, Mauricio created a dance piece entitled “Fabulación” and wrote a text in which he shares the whole process, both of research and creation. This choreographer feels the need of generating a more inclusive vision of our practice, in which contemporary dance would be communicative, expressive and pleasant for those who do not belong to the profession. Mauricio Flórez argues that our audiences do not know the story of contemporary dance, nor the breaches and reasons that lead it to abstraction, symbolic density or intellectualism. Therefore, contemporary dance deals with matters and environments, in a language that is extremely difficult to see and hear. He continues saying that one way to counteract this situation would be to consider that human beings need to laugh and that there are very few approaches in the world of dance that try to make up tools to bring about comedy through movement. It is very important to keep in mind that these tools should not be used in an arbitrary way but they should be introduced whether if the piece calls for them or if their use is justified. Otherwise, the effect might be different from laughing, which is the real goal. 12. Perfect relationship between music and movement with specific actions like washing, coughing, falling, etc. He also explains that it is very important to contextualize the piece, in order to create a dramaturgy that can be read by the audience. It is over that common environment that the mentioned tools can be applied. Otherwise, the comic effect will not be attained. I believe Mauricio Flórez has made a contribution here and I hope it reaches some of you who have common interests with him. You can read the whole written text by clicking here, though I warn you that it is in Spanish. And... if this is not the approach you’re personally interested in, I guess this position will be useful to compare and have a better understanding of what each one of us does. Bachelor of Arts with emphasize in dance (2011). He was educated since a young age as a dancer, with Colombian folkloric dances. 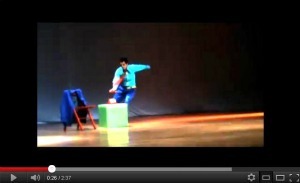 He represented his country in international festivals in México (2008) and Peru (2007), performing this dancing genre. Afterwards, he attended high degree studies in dance at the University of Antioquia, where he received education in modern dance, classical ballet and contemporary dance. 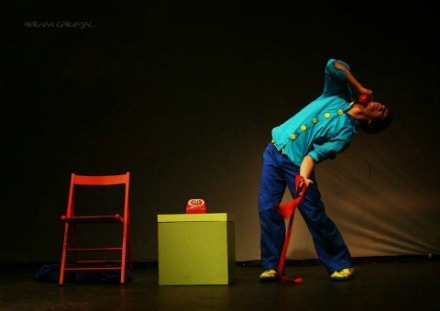 This last one defines his approach and creative exploration together with theatrical improvisation, which he learnt through workshops with improvisational companies, like “Acción Impro” from Colombia and “Colectivo Mamut” from Chile. 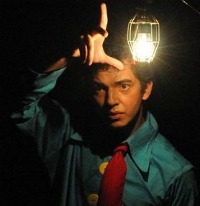 He’s also attended studies in clown and masks with teachers from the company “Jogando No Quintal” in São Paulo Brasil.